Order in the next 46 hours and 21 minutes for delivery on Wednesday 24th April. Select UPS Next Working Day at checkout. Restrictions may apply. The PTS Mega Arms AR-15 Slide Lock Charging Handle features a minimalist design, fully ambidextrous controls, and minimal moving parts for simple and reliable operation. 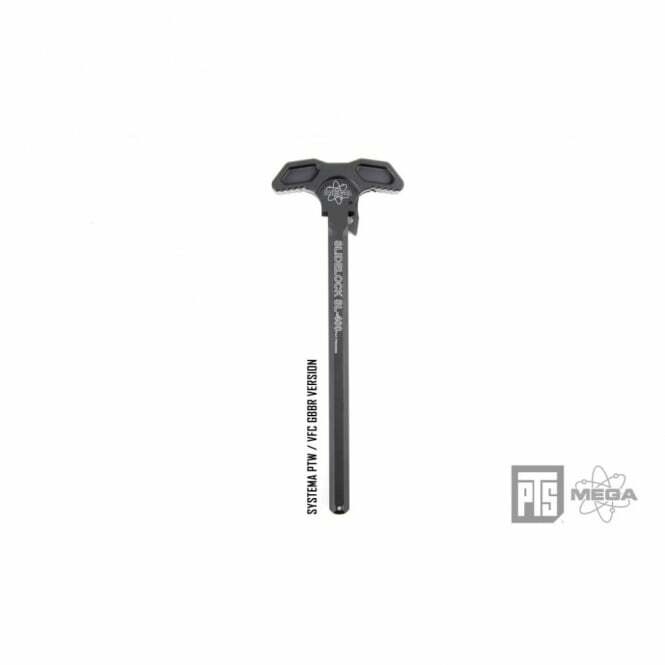 The charging handle's levers are skeletonized to reduce weight without sacrificing strength and incorporate an anti-slip texture for maximum grip.